Queen Victoria as Instagram Influencer, kind of. During a discussion of advertising in the Victorian era in class, the subject of a strange new phenomenon came up: the influencer. An influencer is essentially a person, who acts as marketing. How this works is by identifying those people who have influence over potential consumers and orienting marketing actives around them. In modern day, this is typically happening through social media. Ah yes, the Instagram influencer. A person with a large enough following on Instagram who’s whole online life is a curated marketing presence. Brands will send them clothes, for example, and they will wear and tag them in a post. The same applies for bags and shoes and food and what workouts they stream and what shampoo their cat uses. Truly. While this may seem absurd, the notion that a person is a marketing tool that can change the way thousands of people (or followers) operate – I have come to consider that this may not be an entirely new phenomenon. Instagram, and social media in general, is allowed to work in this way through photography. This idea lead me to our discussions in class, surrounding the advent of photography in the Victorian era. Specifically, it led me to think about the top influencers of Victorian society, the royals. Upon further reflection, I realized that Queen Victoria was perhaps the first Queen to use photography. In fact, countless portraits of the queen circulated into the public sphere. Was Queen Victoria among the first influencers as we know them today? She is certainly known for her influence on fashion, having championed the popularity of the white wedding dress. 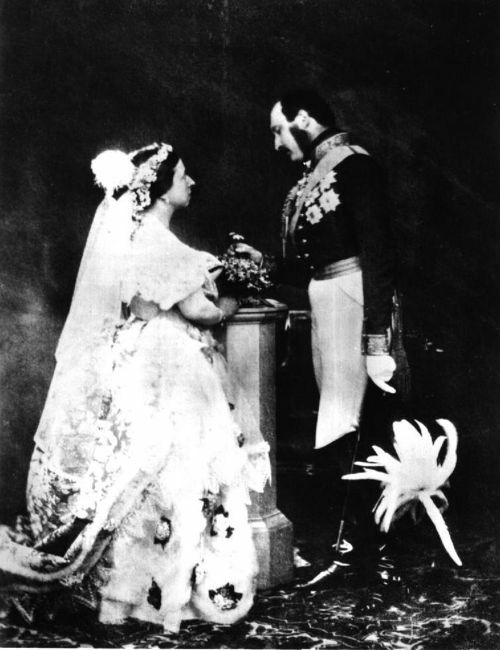 We know that Queen Victoria was so fond of her husband and her gown, that she even wore her gown years after the wedding in order to pose for photographs. The widely seen images of her white wedding dress, could very well be an example of how she was one of the earliest social media influencers. 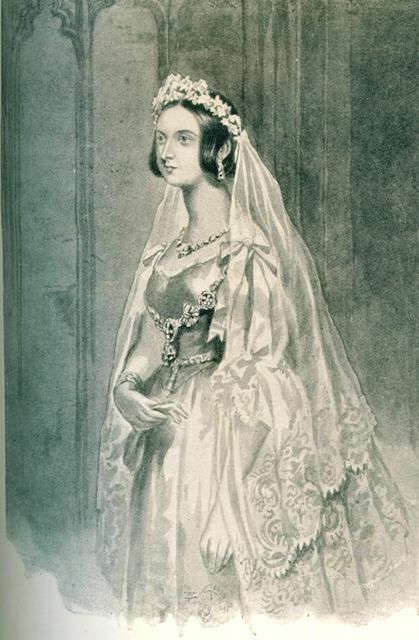 This is fascinating to think about, especially the detail about how Victoria pioneered the tradition of the white wedding dress. That detail about the dress reminded me of how Queen Victoria decided to host a ball at Buckingham Palace in 1842 specifically to help the failing Spitalfields silk industry. She and Albert dressed as Queen Philippa of Hainault and Edward III, and the ball was medieval themed. Victoria and Albert’s outfits were created by Spitalfields silk craftsmen using Spitalfields silk, in the interest of providing them work and advertising the superior quality of the silk. So, Victoria literally was advertising a product using her public platform, just like modern day Instagram influencers.